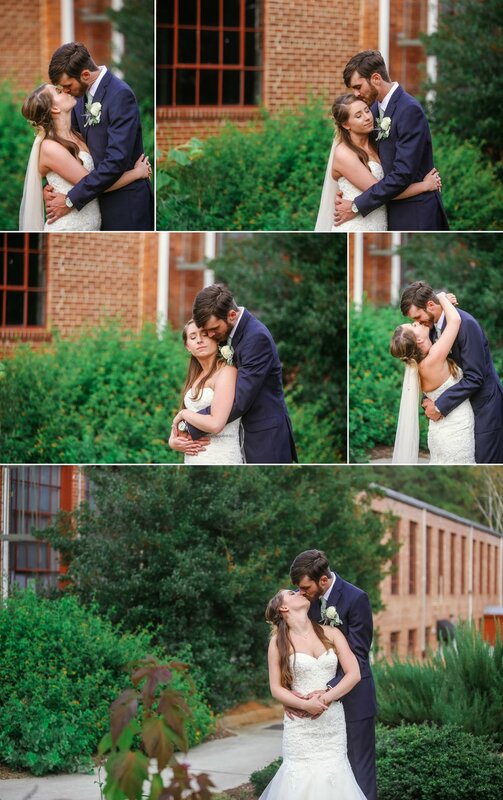 Meredith and Brandon got married in a beautiful outdoor ceremony, followed by their reception at the industrial Chatham Mills Performing Arts and Event Center. 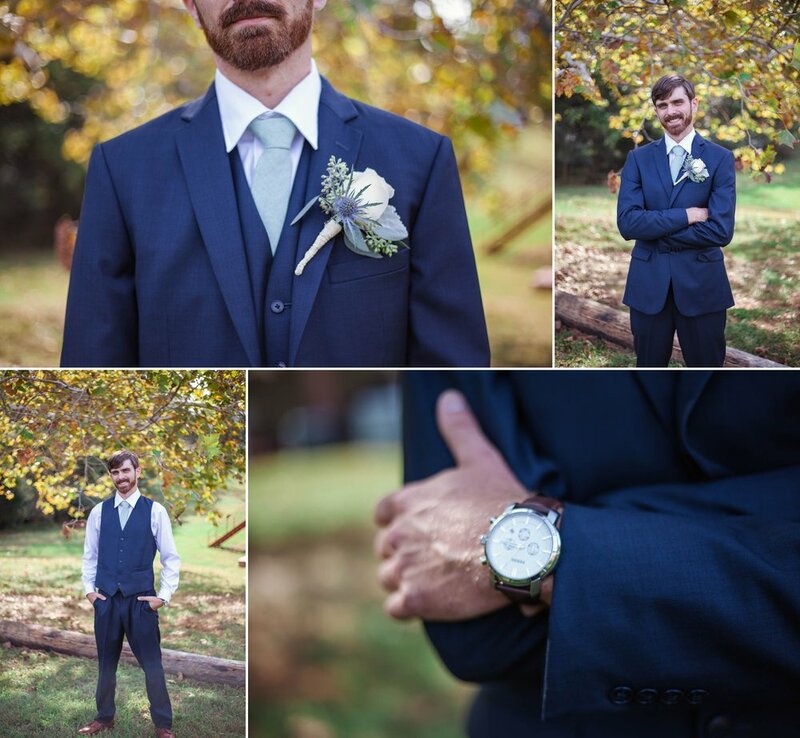 A wedding Photographer in Raleigh, North Carolina, it was a pleasure to photograph their big day from getting ready to their sparkler exit. Meredith and her bridesmaids rented a beautiful old victorian Air BnB. The girls had a blast dolling up for their big day with the help of the amazing Elisha Seaton Make Up. Fun Fact - Elisha is also my go to make up artist for Boudoir, so it was a pleasure to work with her on a wedding as well! Having a pretty place like this gorgeous Victorian Air BnB is not only great as a backdrop for pretty getting ready pictures - it also set's an amazing vibe and atmosphere for the day. Everything feels pretty and oh so elegant! 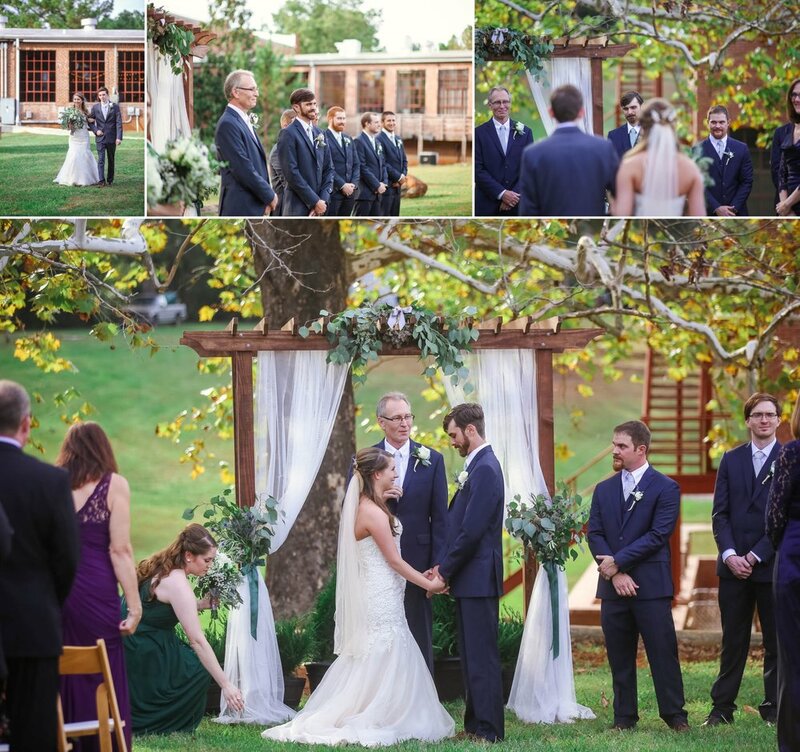 Meredith's brother walked her down the Isle, and in memory of her late father, she had his tie wrapped around her bouquet. 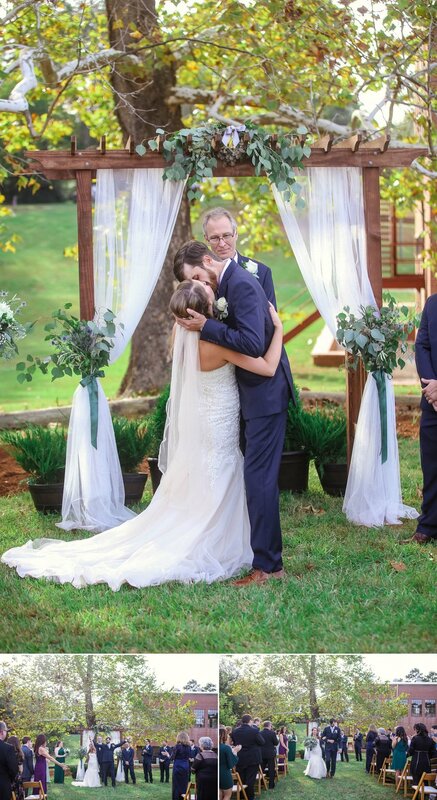 When she arrived at the end of the isle, her groom grabbed her right out of her brothers hands. 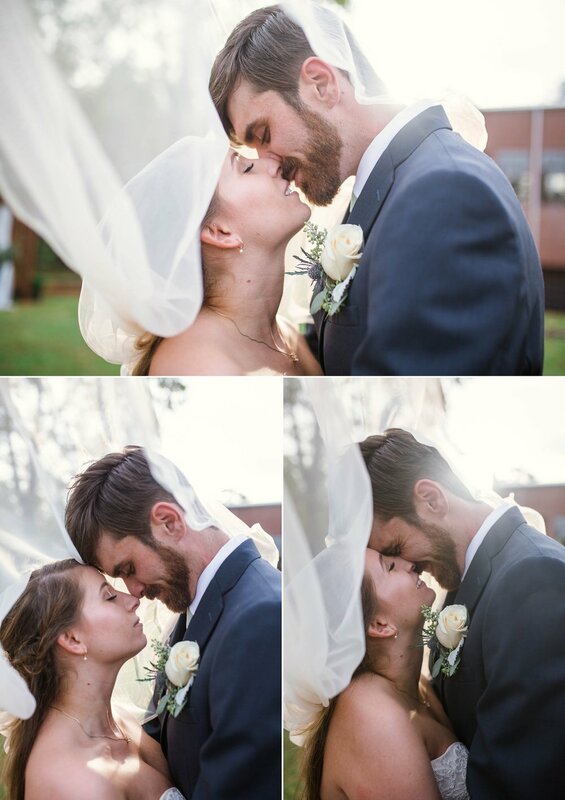 "She looked so beautiful, I just wanted to kiss her. Also I hadn't seen her since last night. I always kiss her when I see her." If you can't tell yet - the two are completely obsessed with each other and I just love their energy! For their Buffet they had my favorite food - Taco's! I was so excited that they decided to go with a Make your own Taco Buffet for their Dinner - and it was delicious! At the Lincoln Theater in Raleigh is where their story began, when they attended a concert with their friends. For their engagement photography session, we actually recreated the time they first met for their Engagement Session! (Click to see that). I am ready to talk to you!